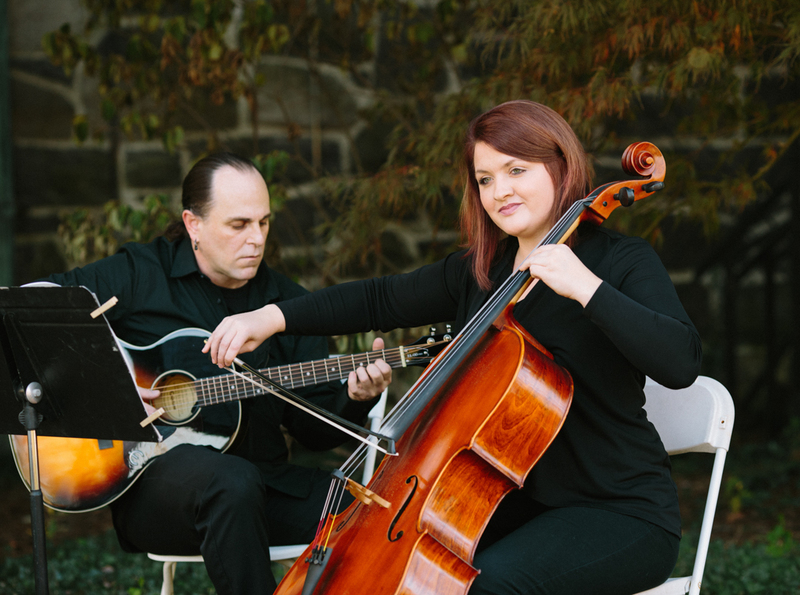 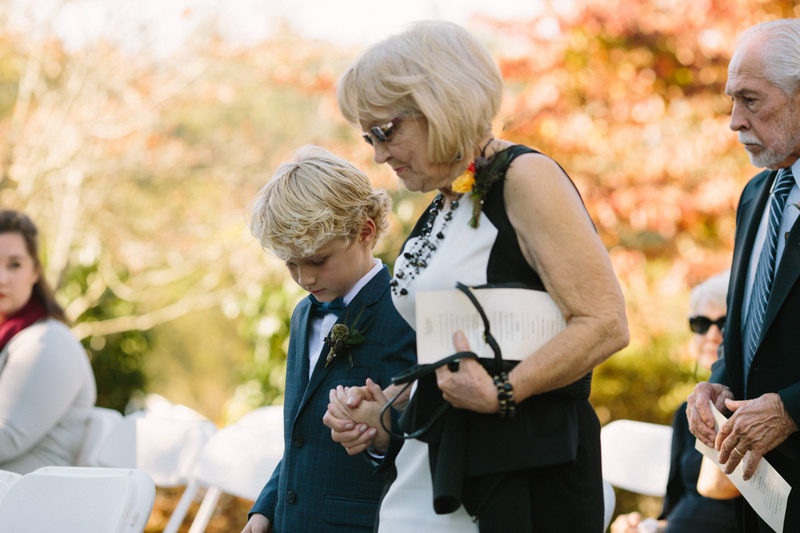 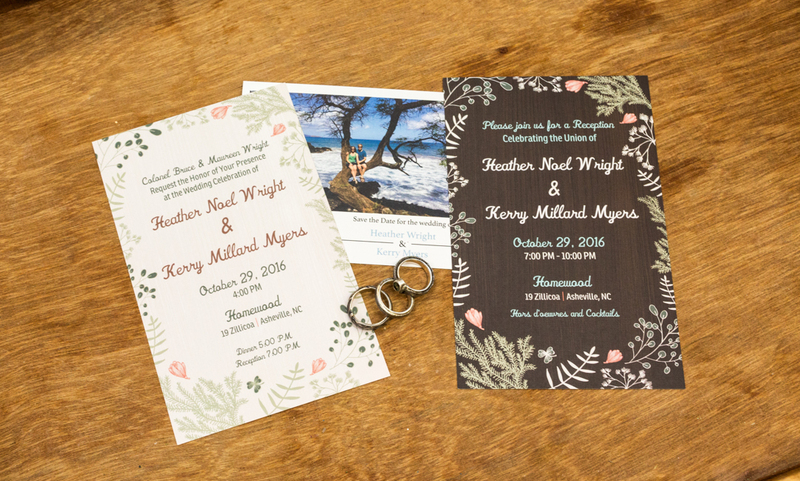 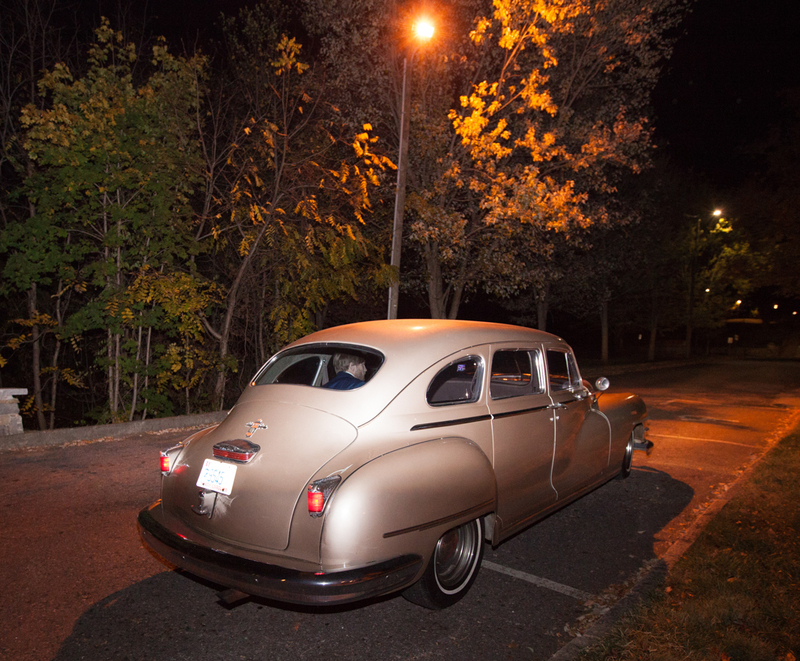 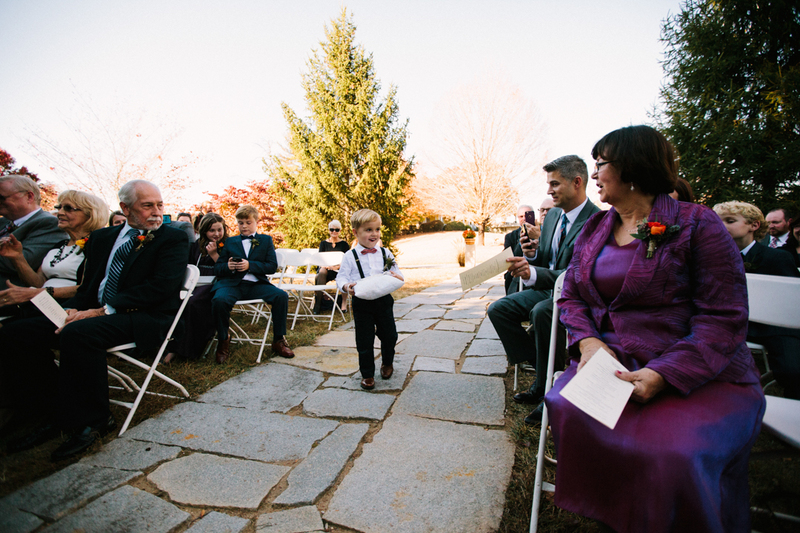 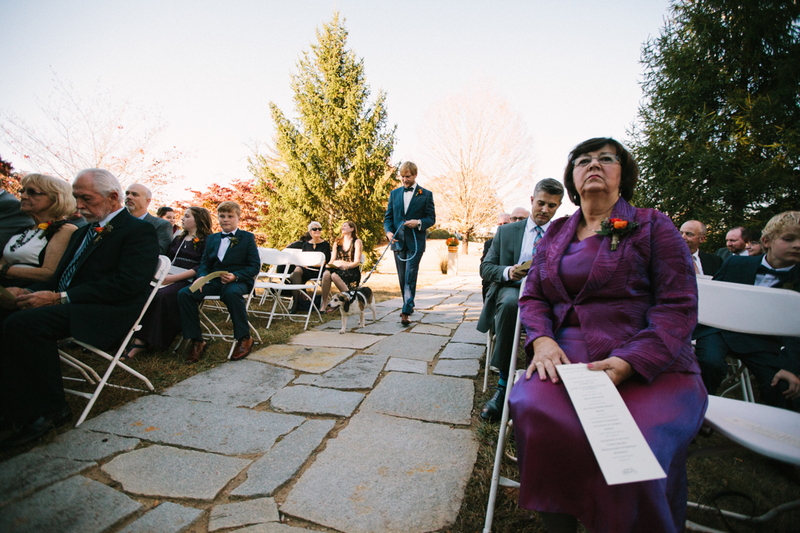 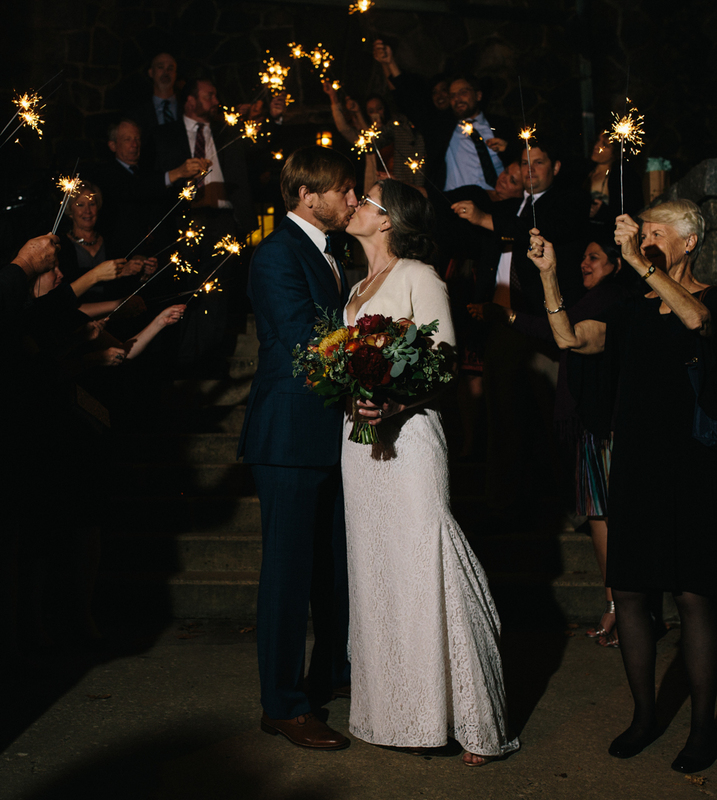 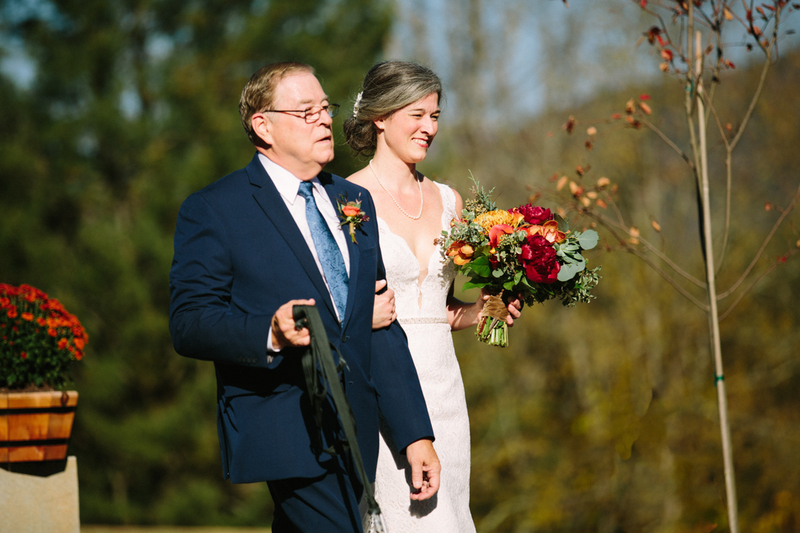 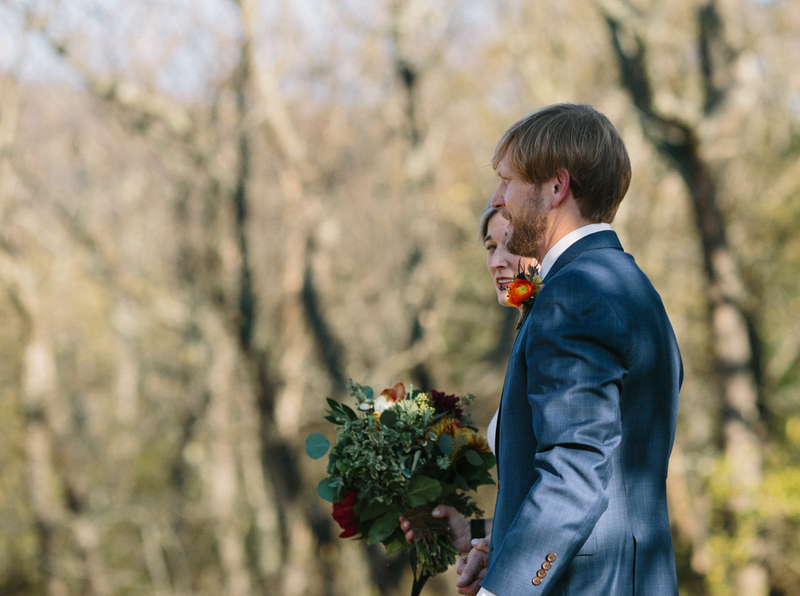 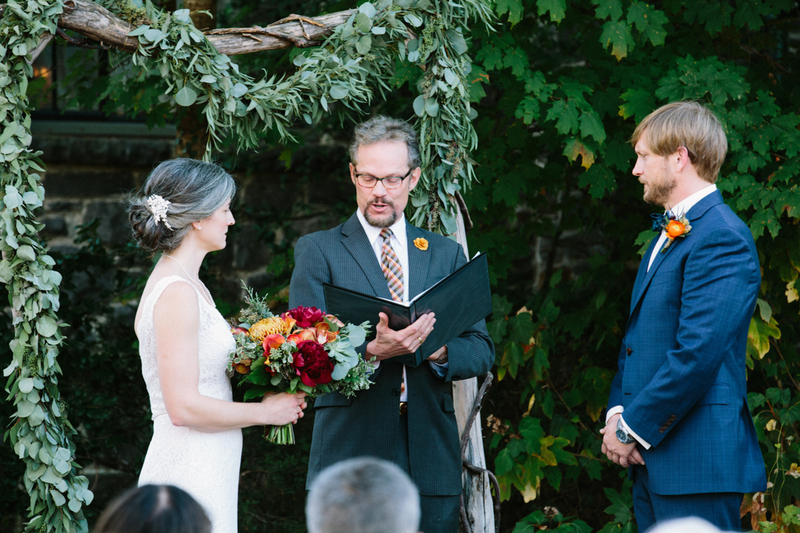 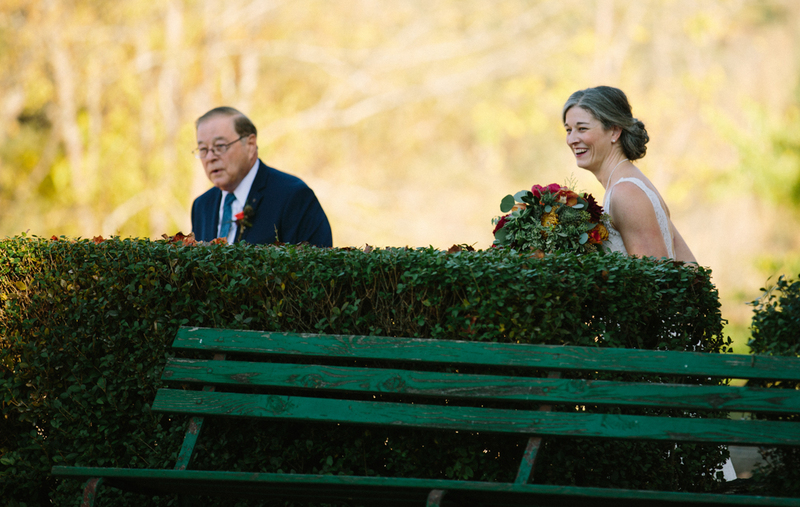 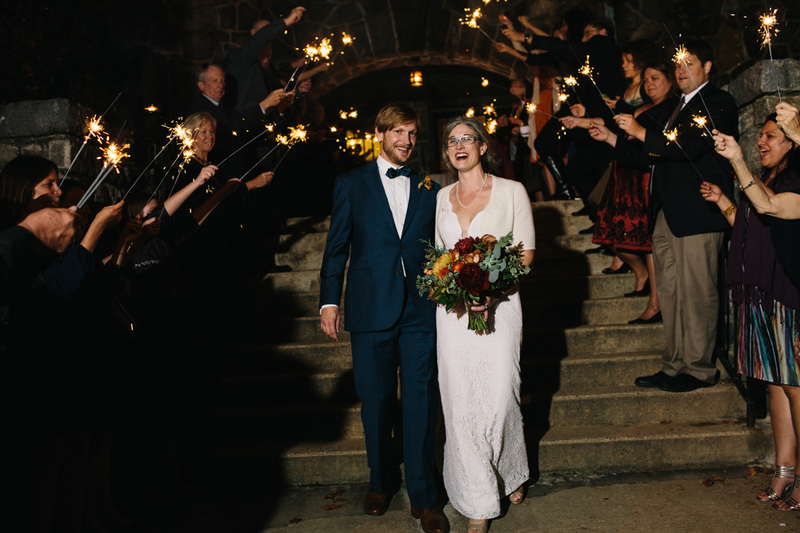 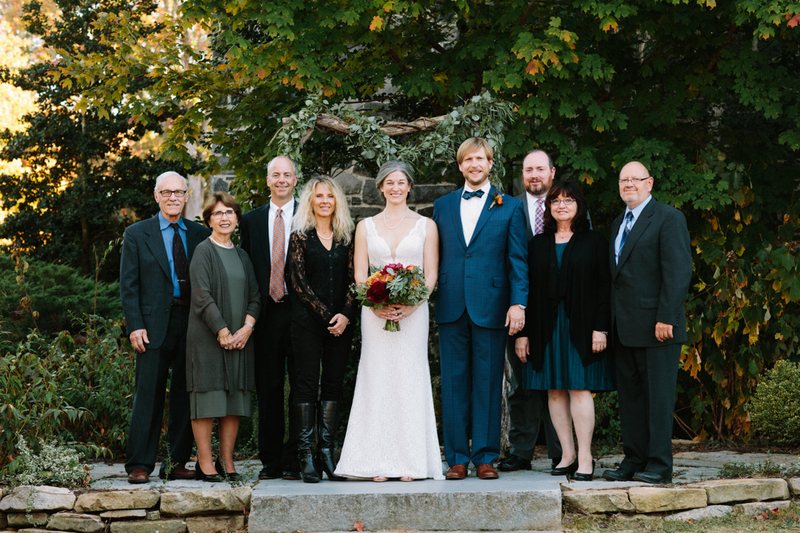 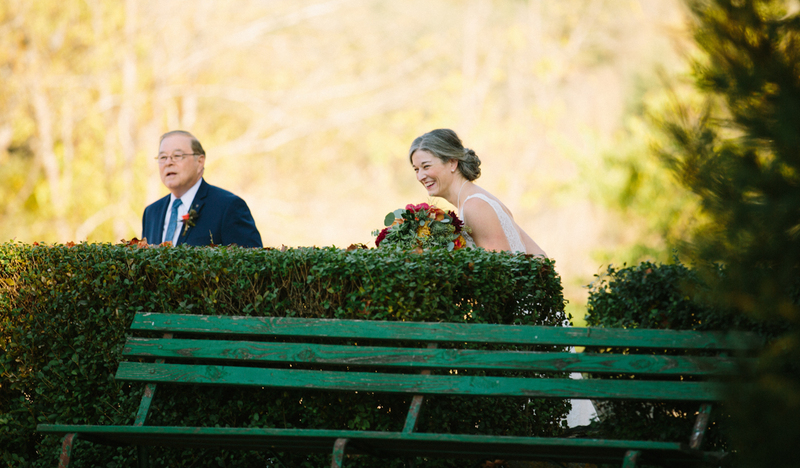 Heather & Kerry had a lovely late Fall wedding at Homewood. 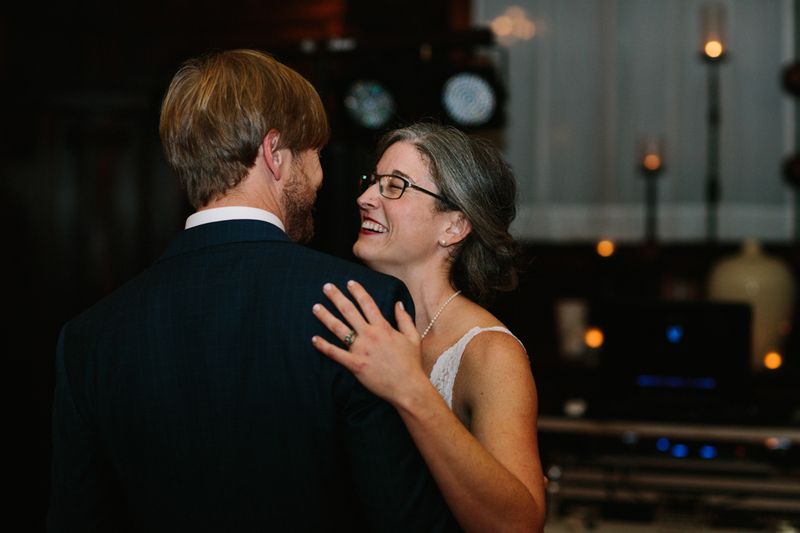 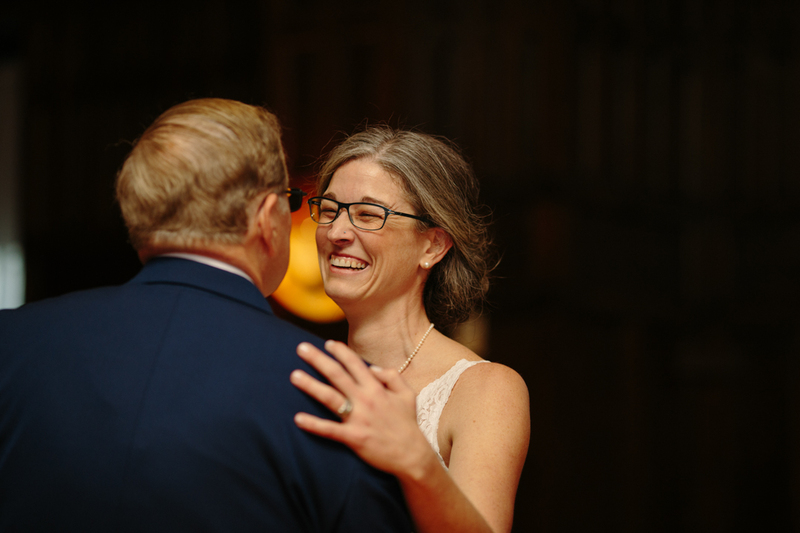 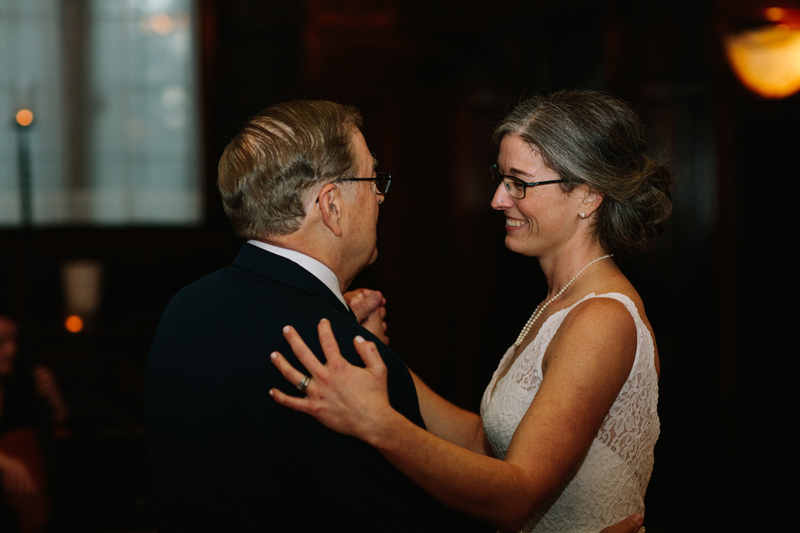 They were married in the Garden with just family and then proceeded to their reception inside Homewood’s Great Room with friends and relatives. 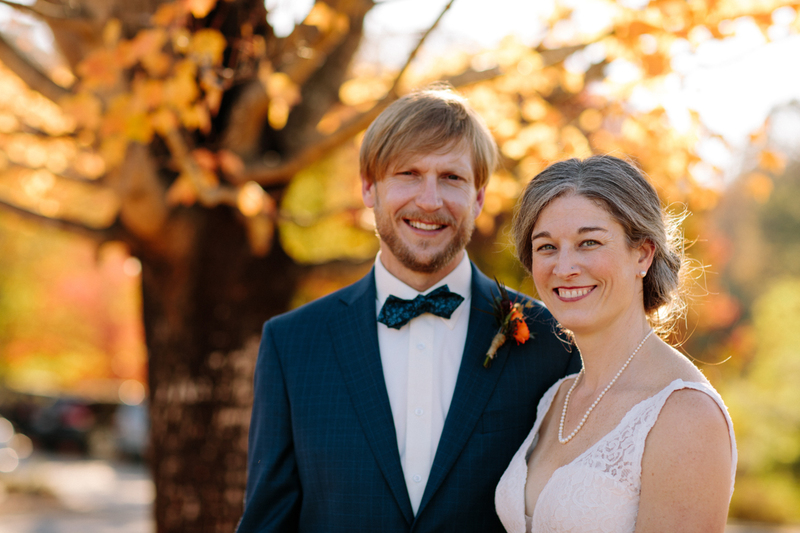 It was a pleasure for us to photograph their wedding. 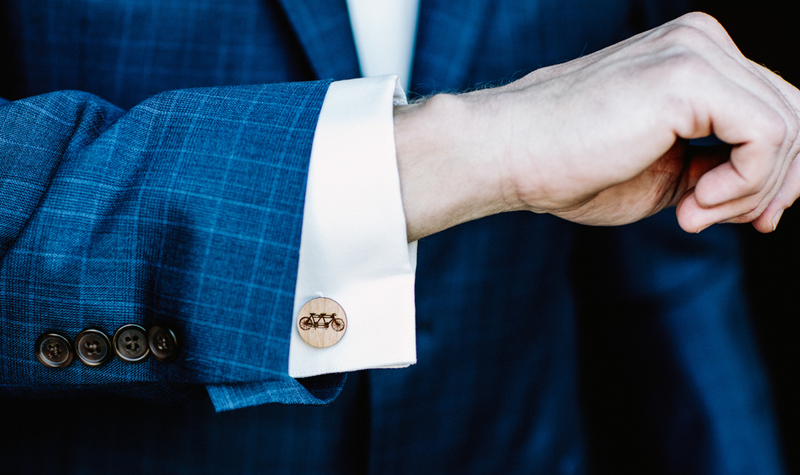 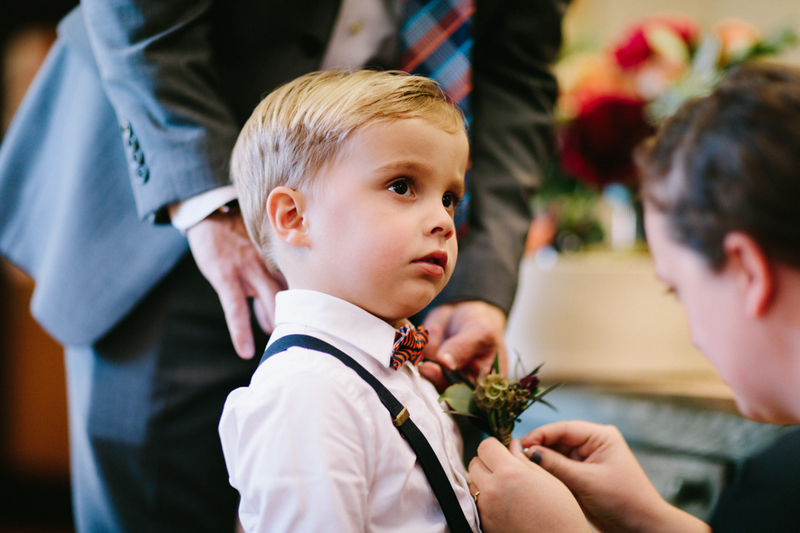 The details at this wedding were amazing. 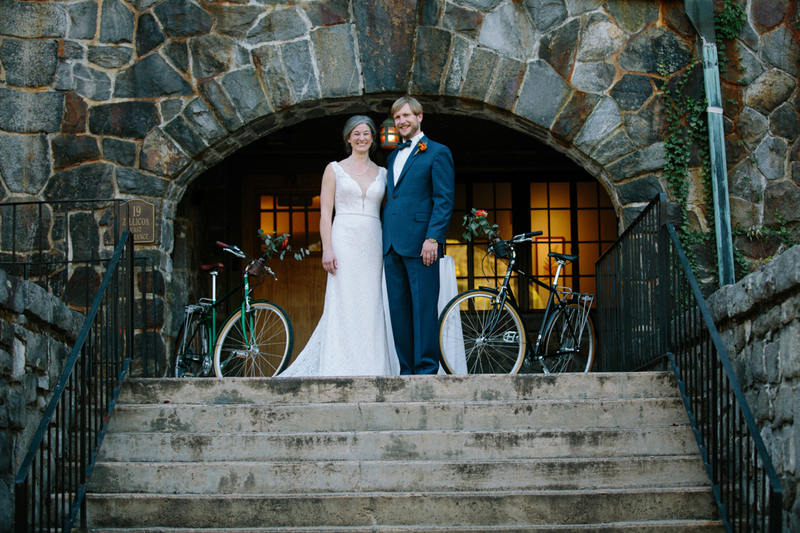 Kerry & Heather love biking they actually have a bicycle built for two. 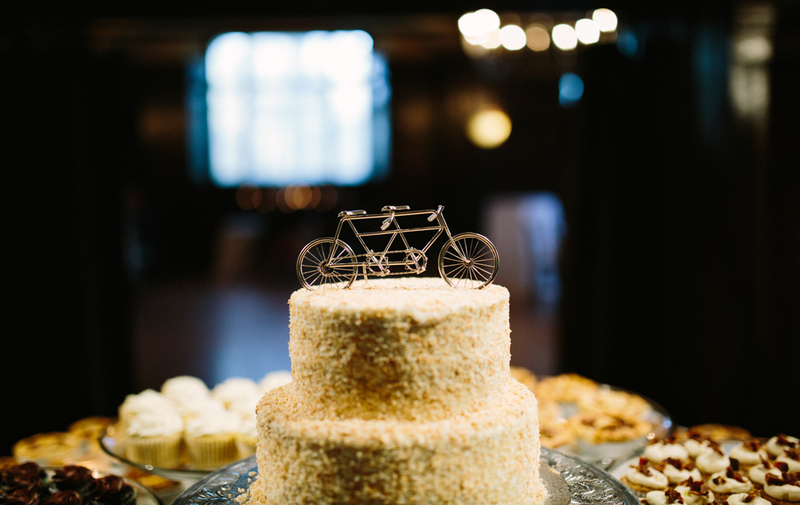 You can see the romantic tandem bike through out the wedding day in all sorts of details. 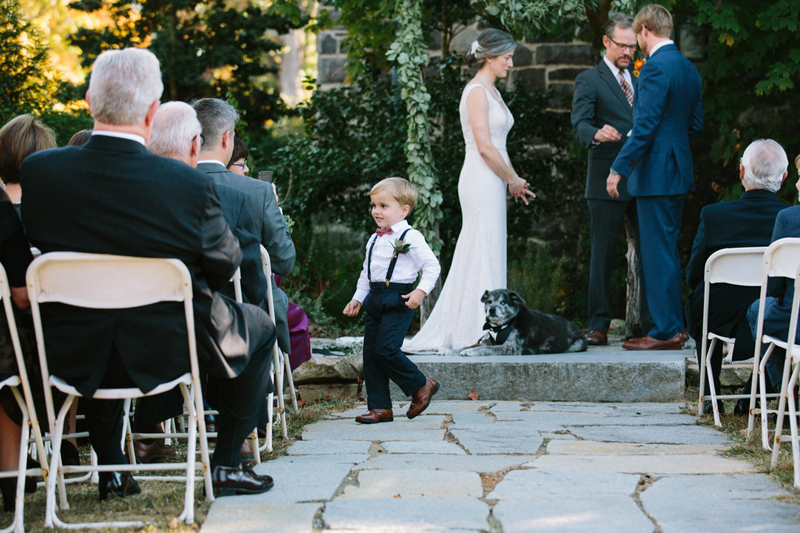 We loved this little guy! 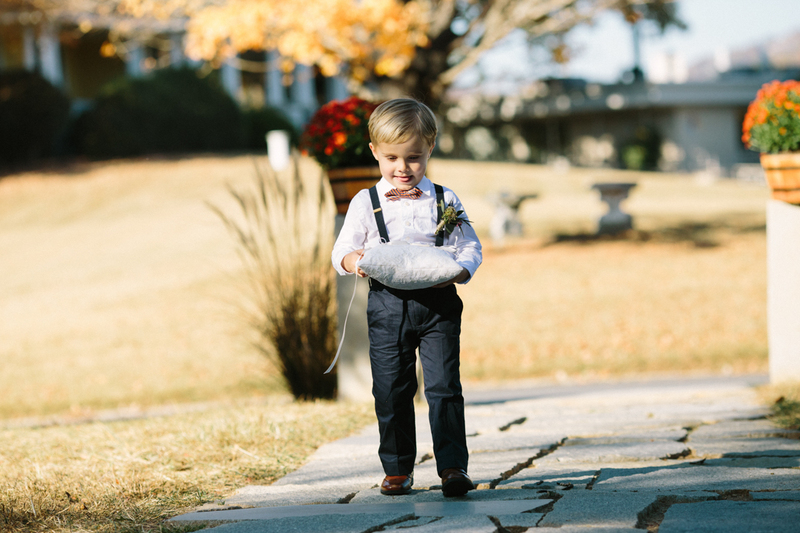 Heather & Kerry’s nephew had been sick the past week but he pushed through as ring bearer and got the job done while being silly at the same time. 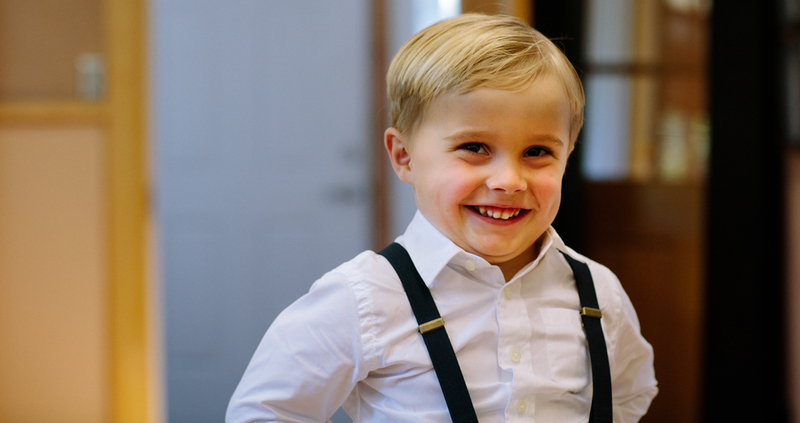 Good job little man! 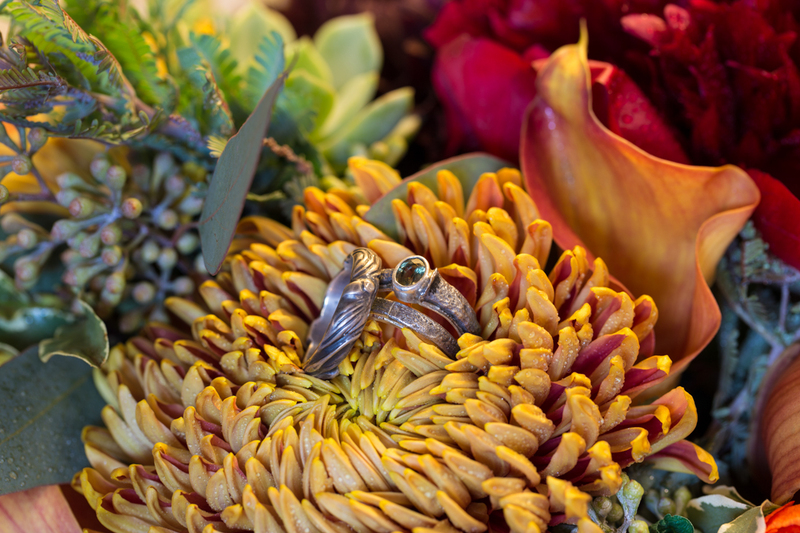 These rings were absolutely stunning. 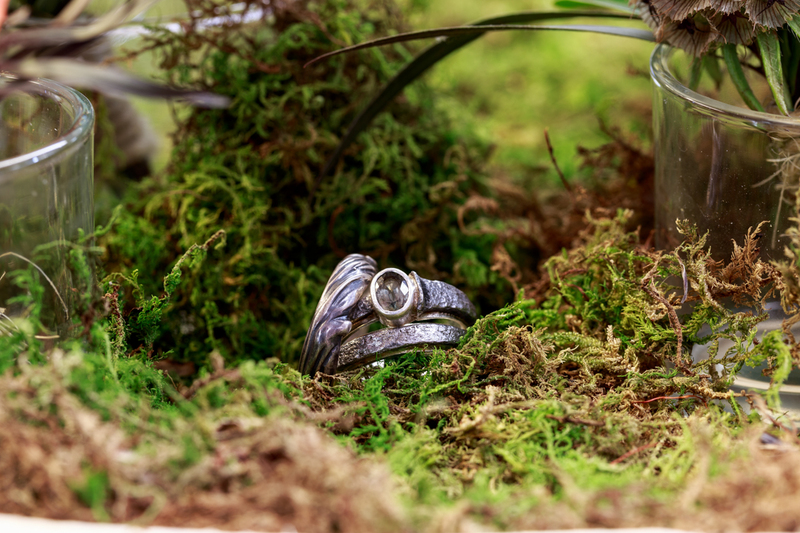 Heather works building bikes so she wanted a ring that was beautiful and could take the hard beating that her hands can take. 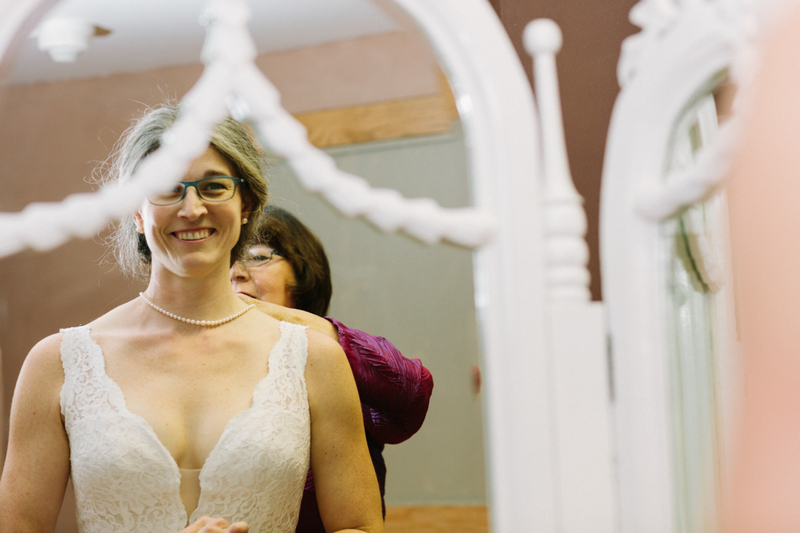 I think she nailed it with beauty and functionality. 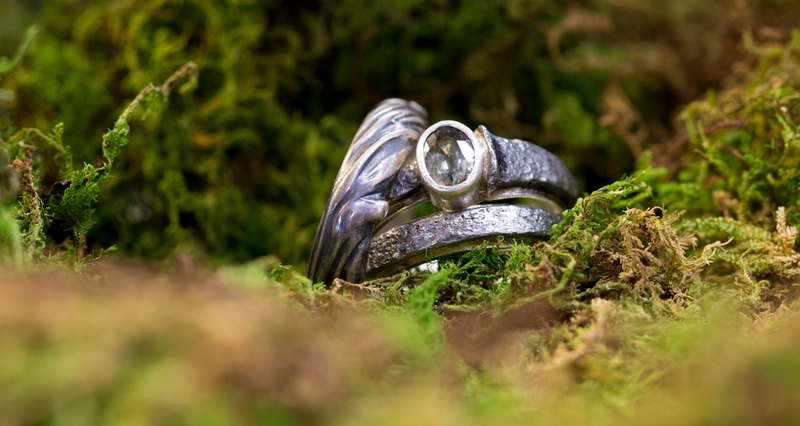 An artist made these individualized rings for them. 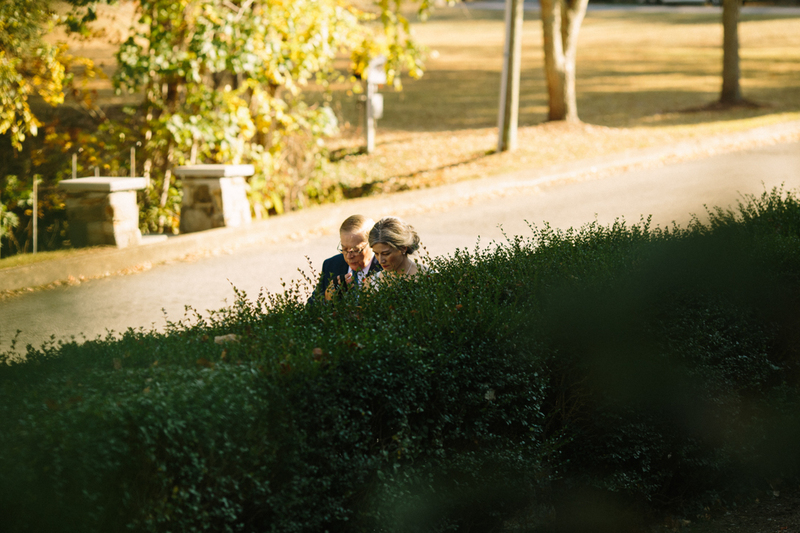 Heather could not help but laugh behind the bushes at her nephews shenanigans as ring bearer going down the aisle. 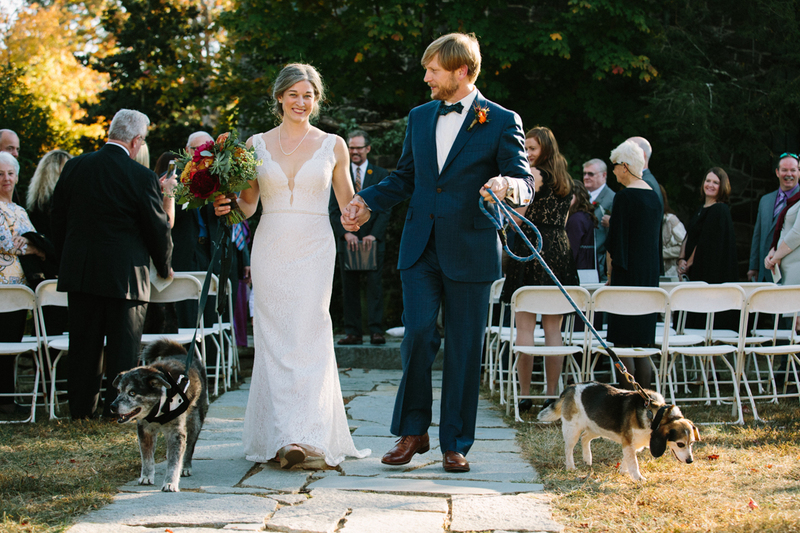 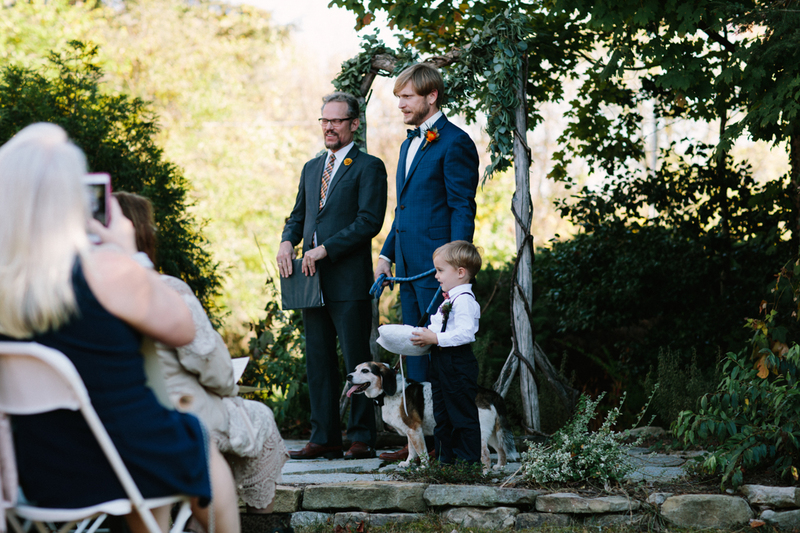 Kerry & Heather are strong dog lovers and really wanted to have them as part of the ceremony. 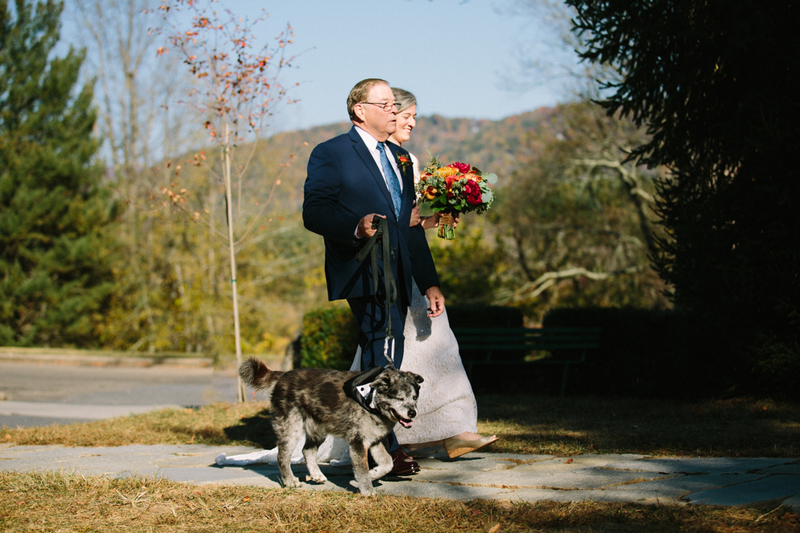 We are dog lovers as well so were very excited for their last minute decision to include the older dogs. 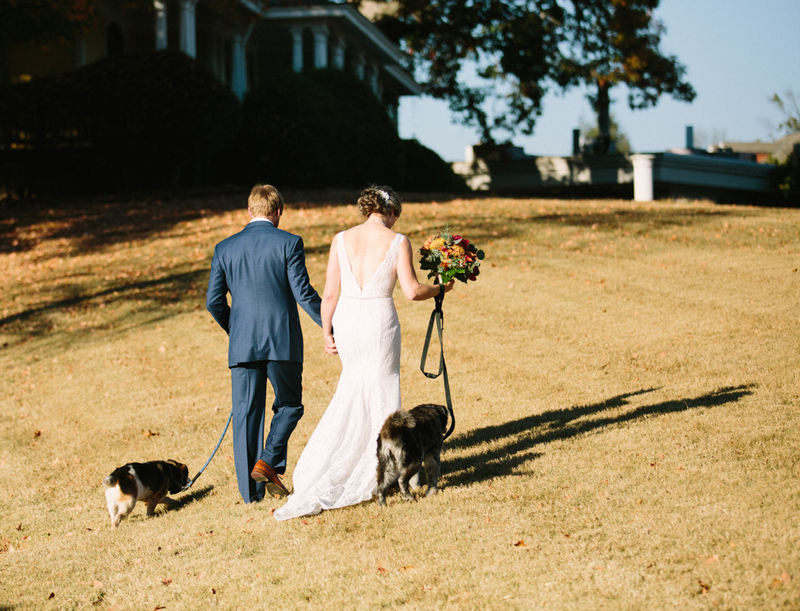 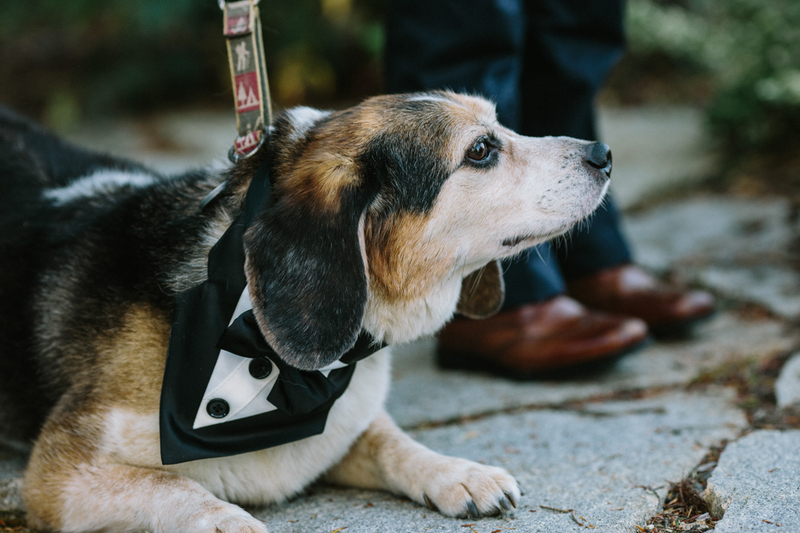 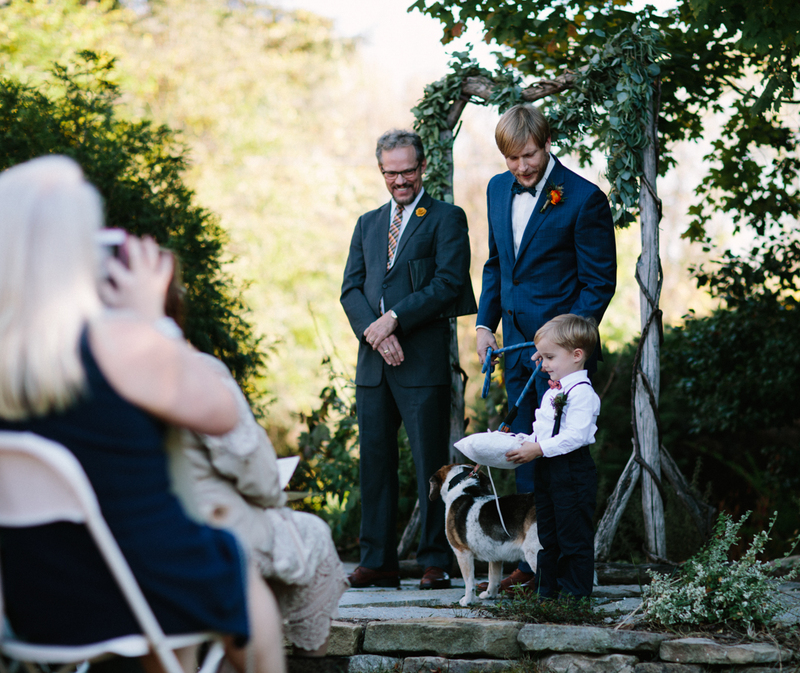 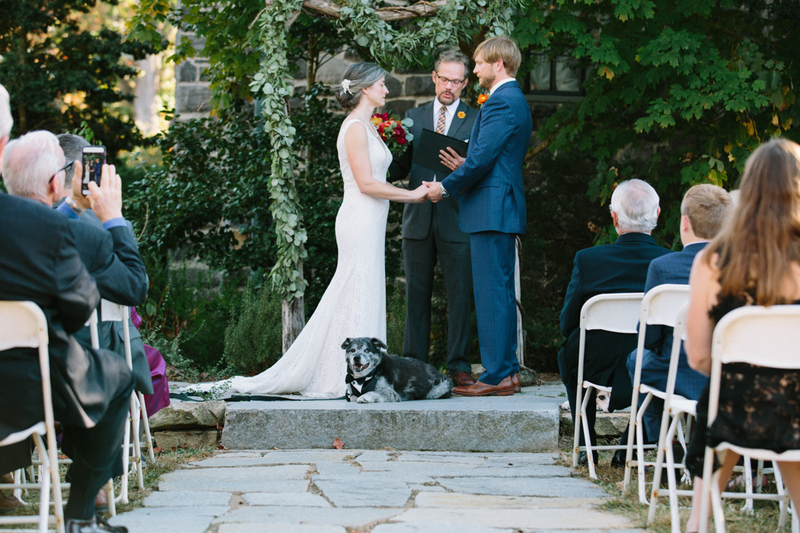 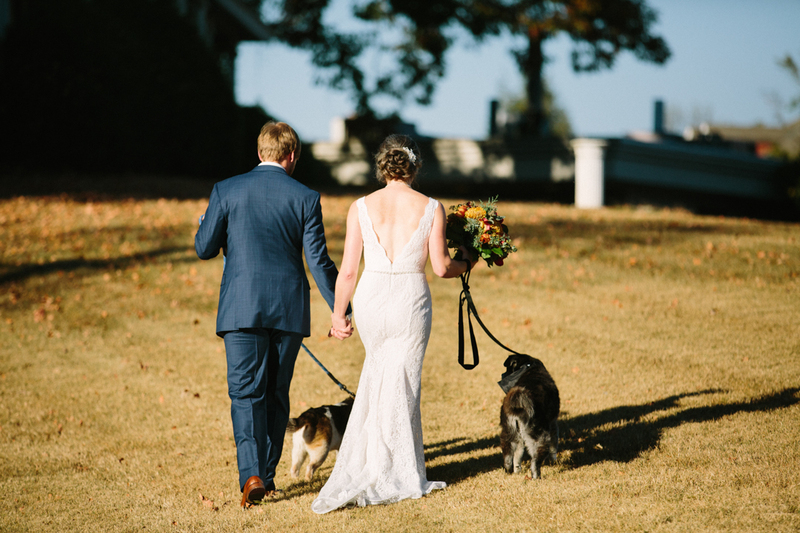 Out of all the weddings with dogs we have done these two were the best behaved of them all and really added that special meaning for the bride and groom. 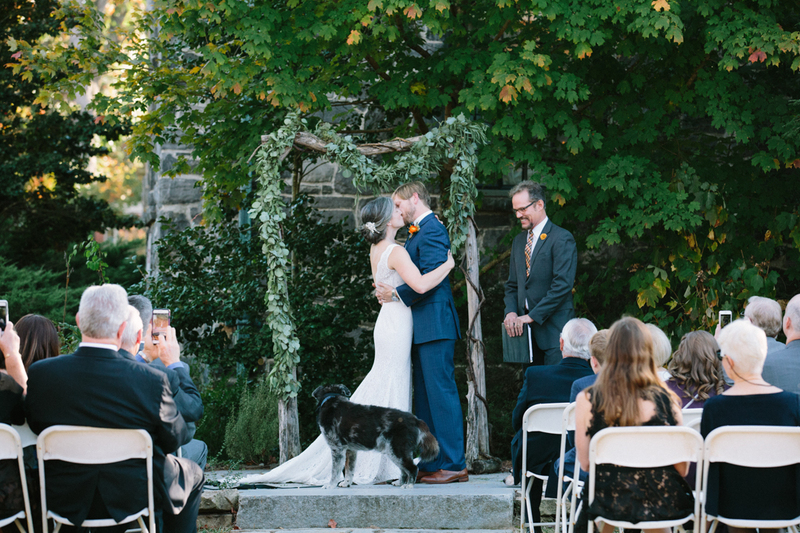 The first kiss as a married couple is always sweet but this was extra special that the dogs turned to look at it happen. 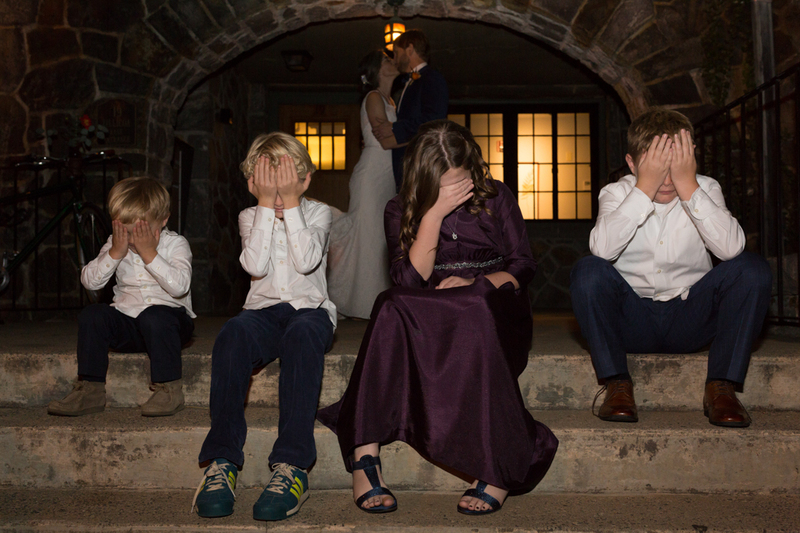 Oh! 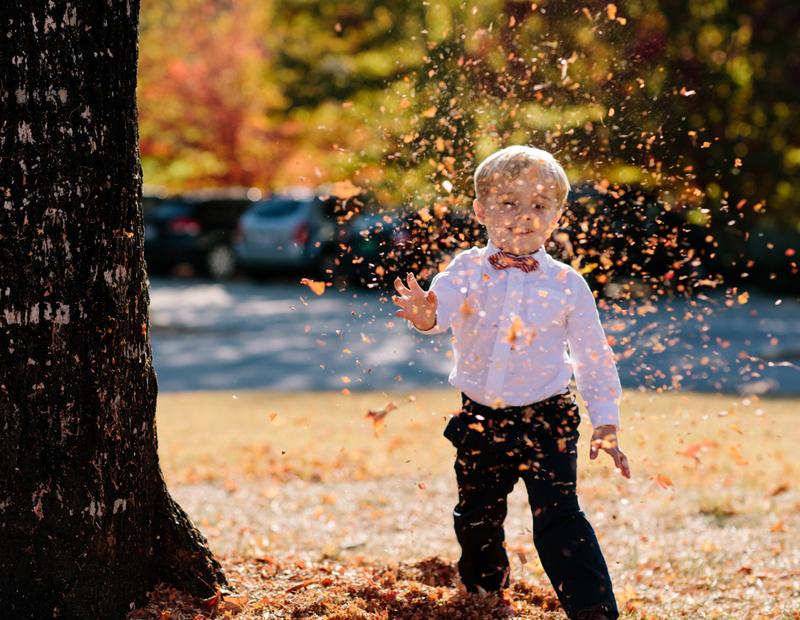 To be youthful again and throw leaves in the air like snow falling from the sky. 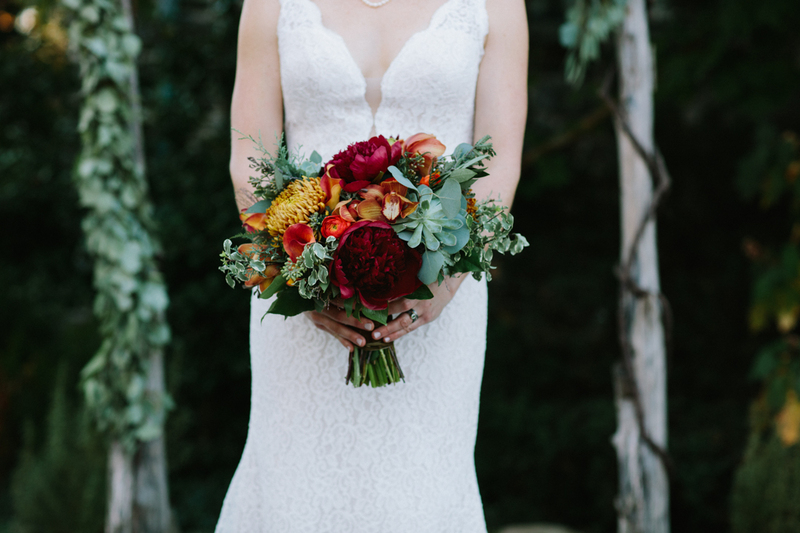 Her flowers were so gorgeous with the rich colors. 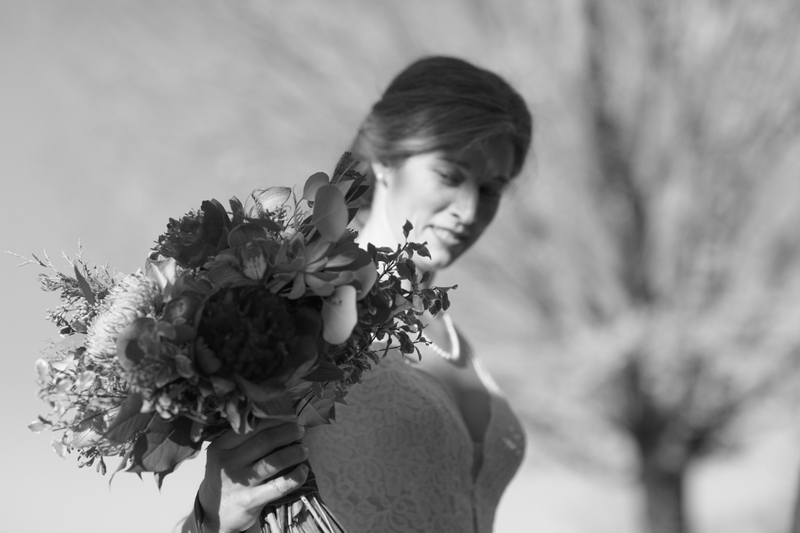 Thanks goes to Flora for doing a awesome job on all the flowers. 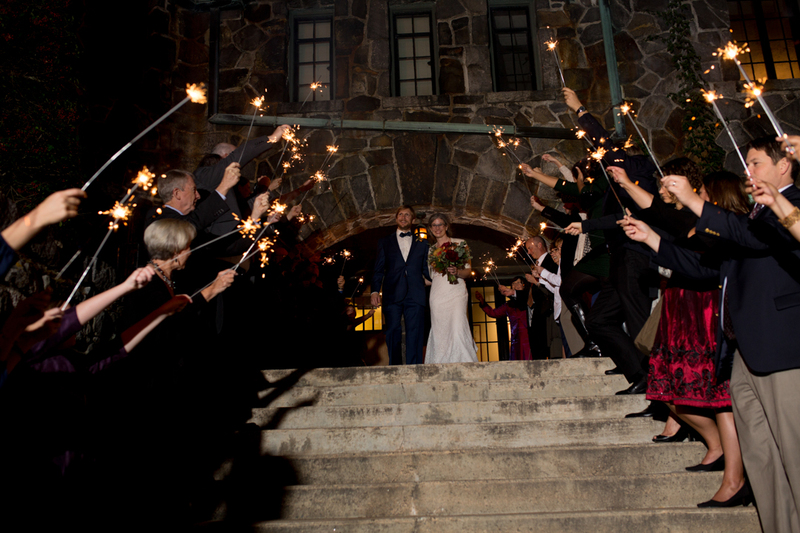 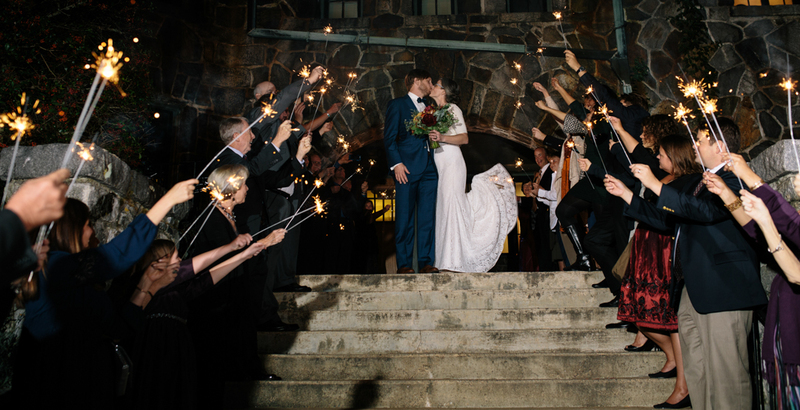 We believe that Homewood is really the perfect medium to small wedding venue. 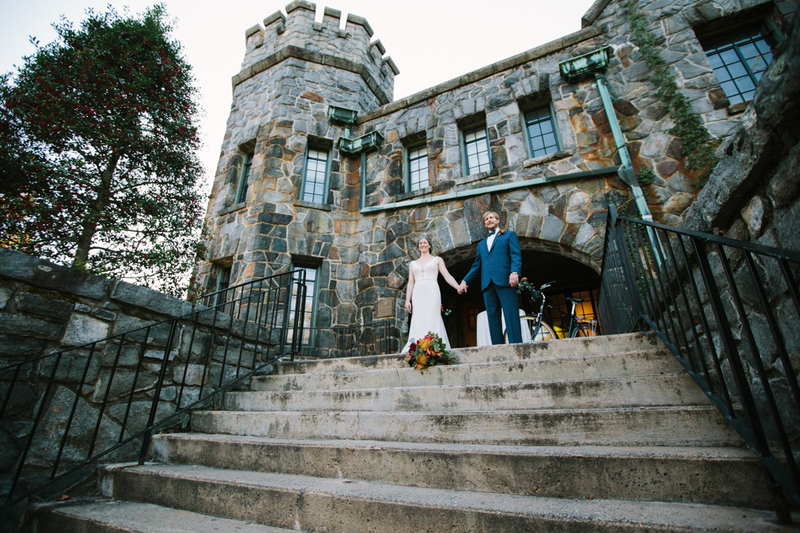 The romantic castle feel is throughout the building inside and outside. 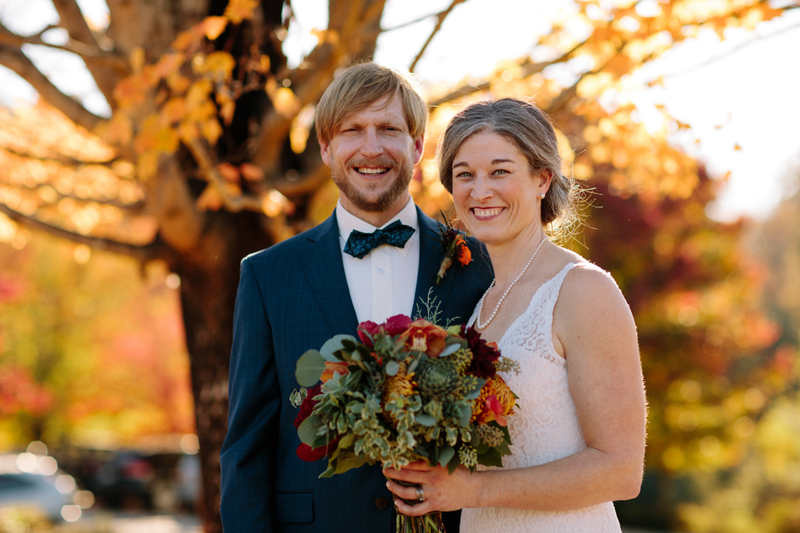 The golden glow from a setting sun in Asheville, NC in the Fall is perfect and you can really see it in this picture. 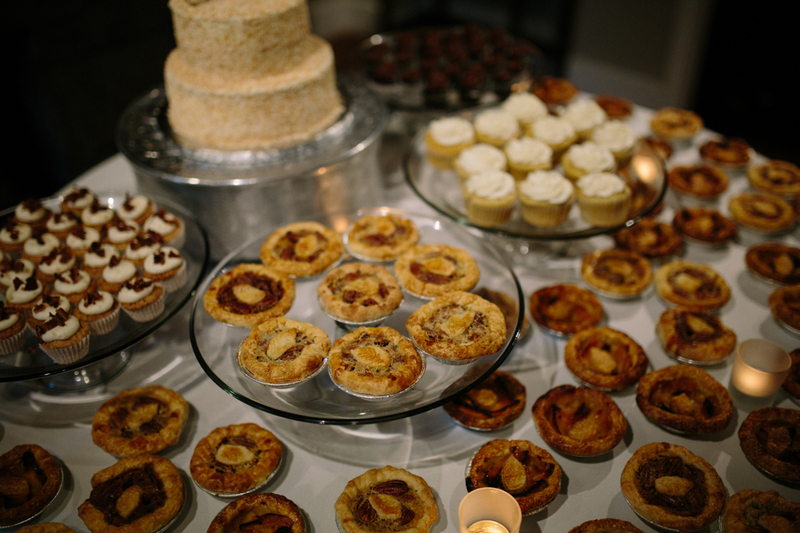 Thank you Short Street for all of the incredible yummy delights. 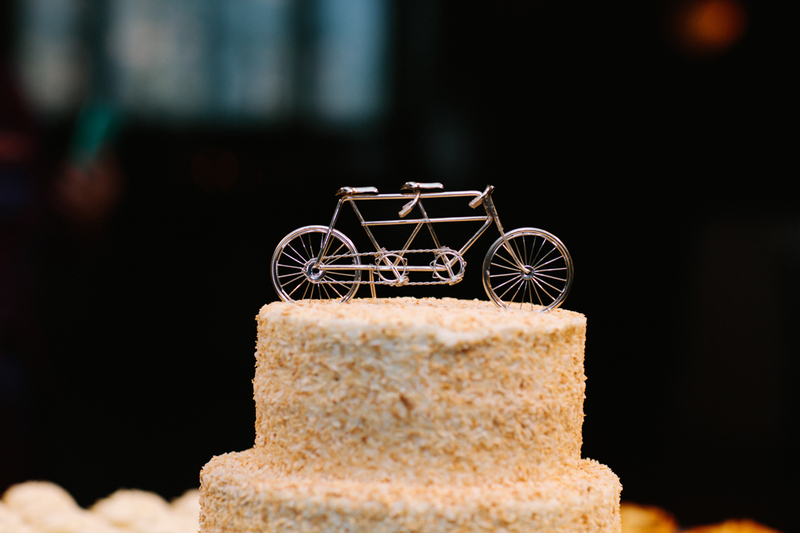 We loved the cake topper of the tandem bike. 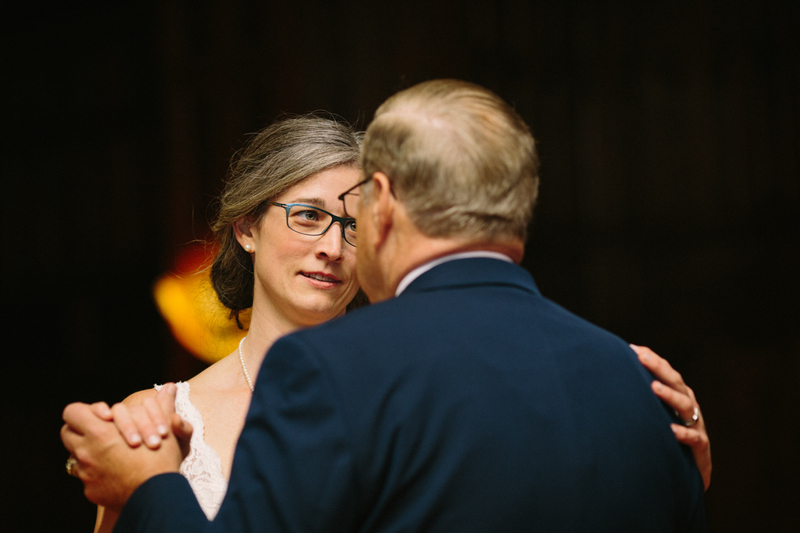 The parents dance, you can feel the love and excitement with the parents as they dance. 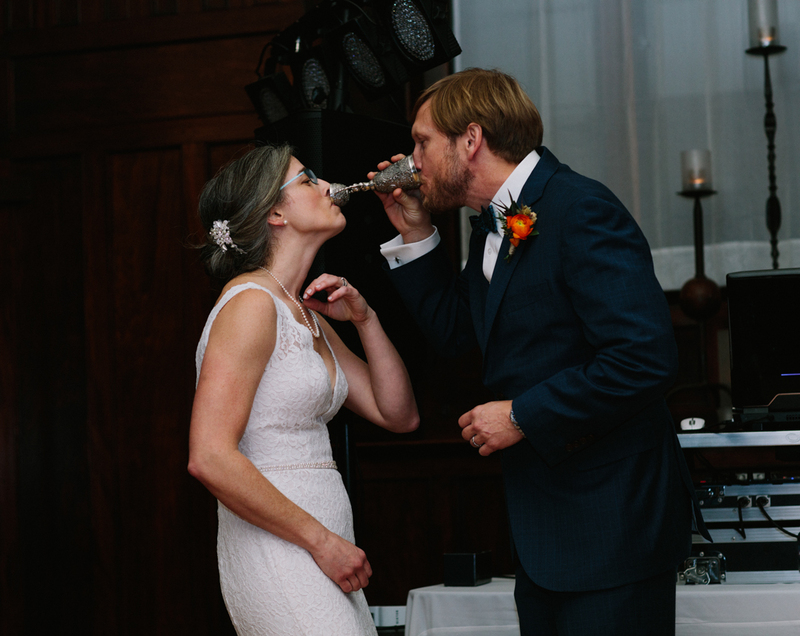 This cup was so beautiful and fun to watch them cheers with it. 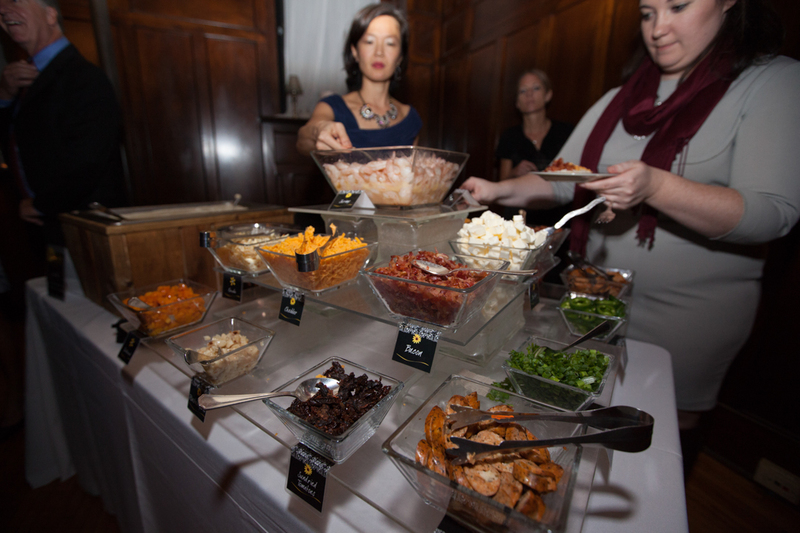 Black Eyed Susan did an awesome creation with the grits bar. 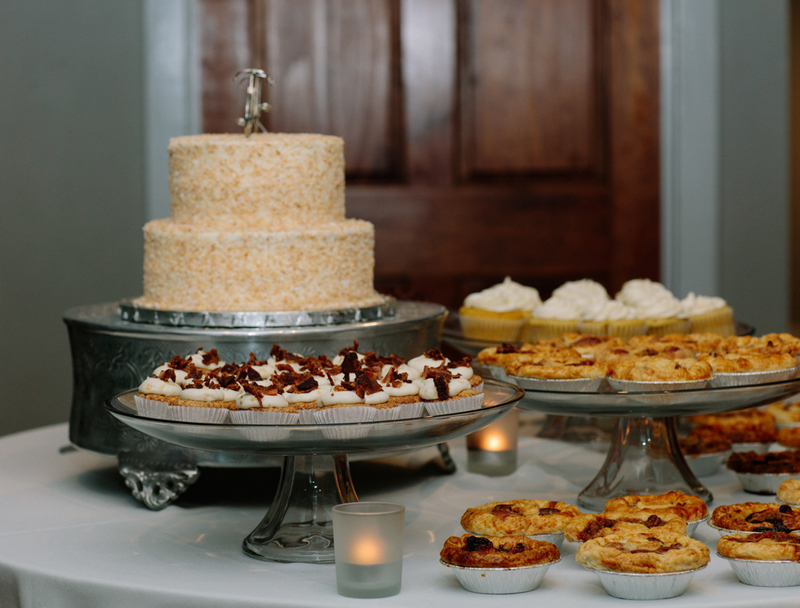 Again, the bakers from Short Street created perfection. 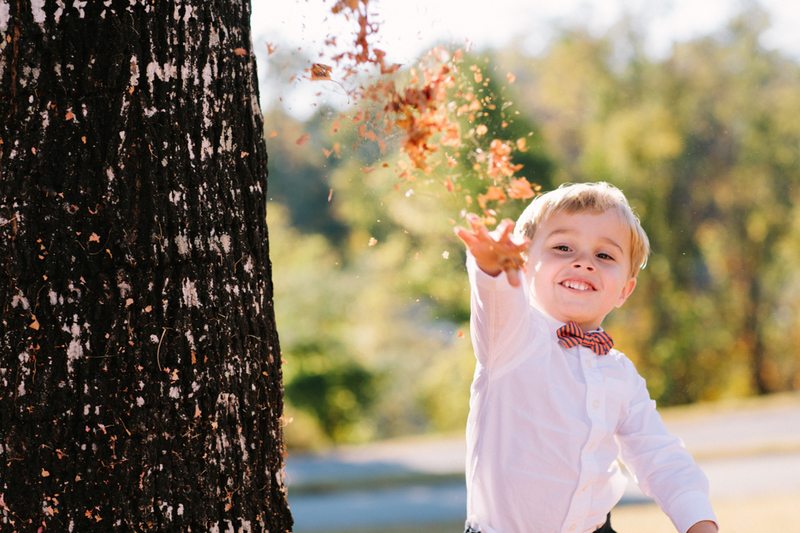 We always love doing this cute posed shot. 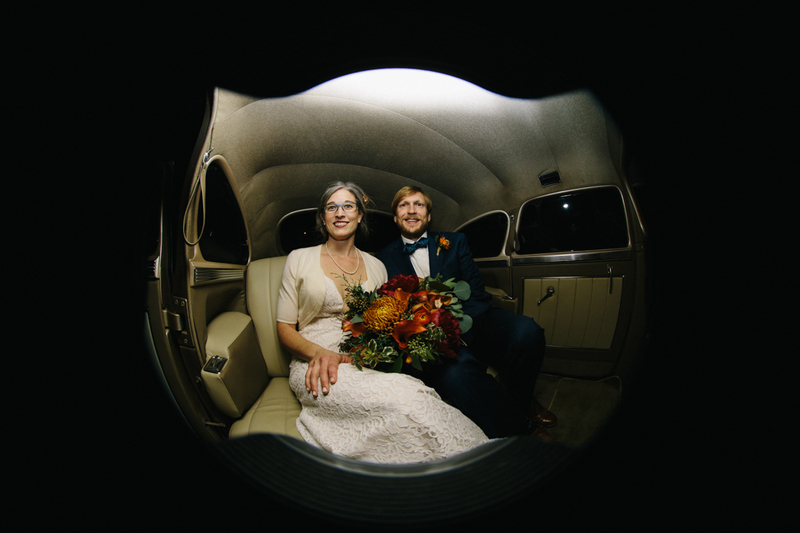 We love this fun artistic fish eye shot in the classic car at the send-off. 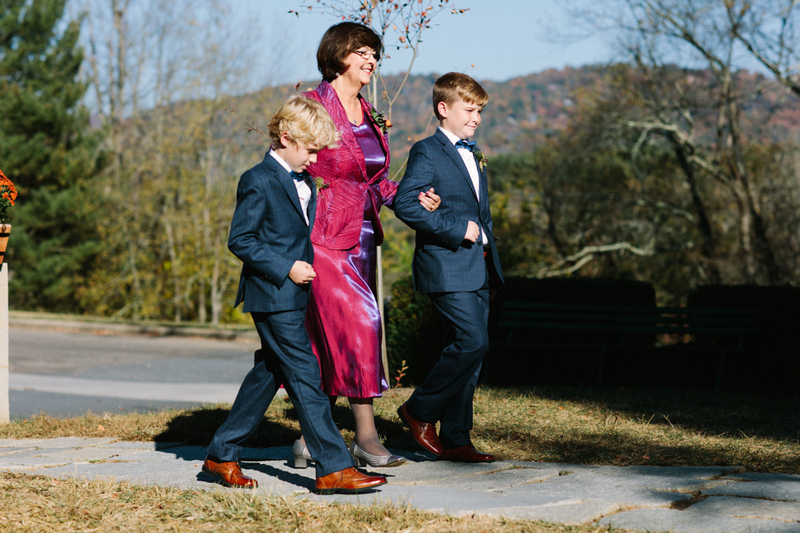 We had such a good time at the relaxed and elegant wedding. 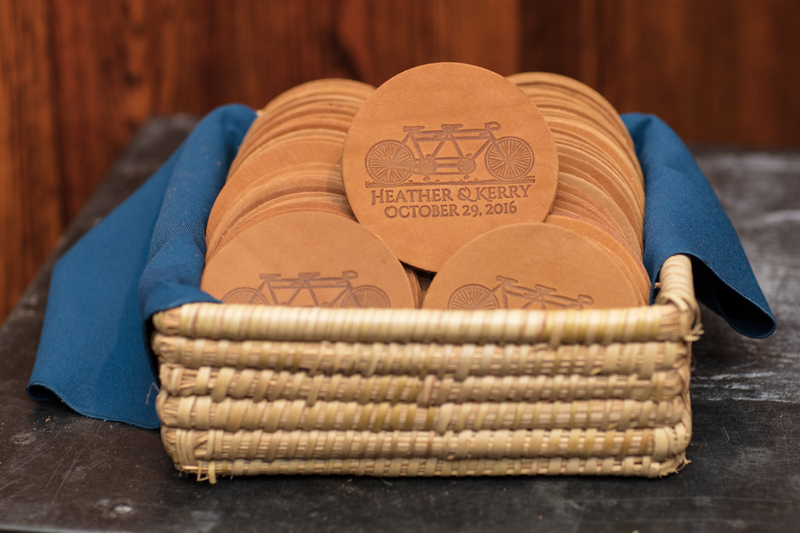 We wish Heather & Kerry all the luck and keep traveling on that tandem bike together through life. 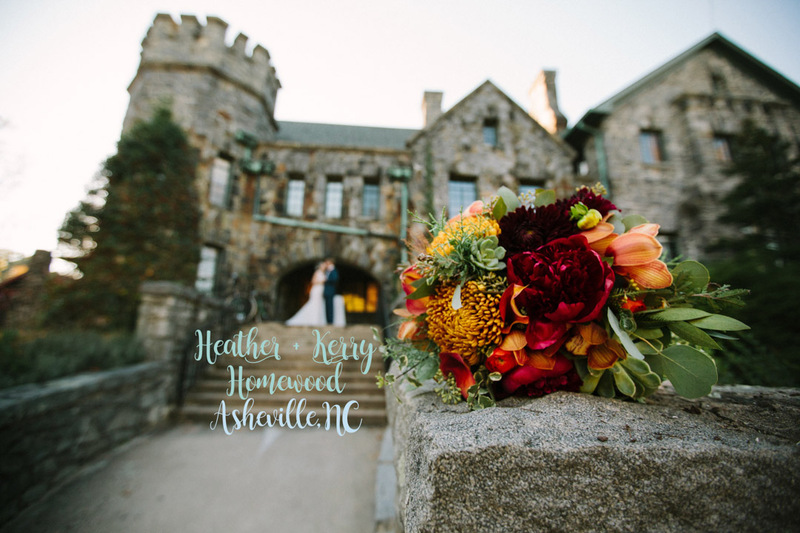 Forge Mountain Photography also set up a photo booth at Homewood for Heather and Kerry’s Wedding. 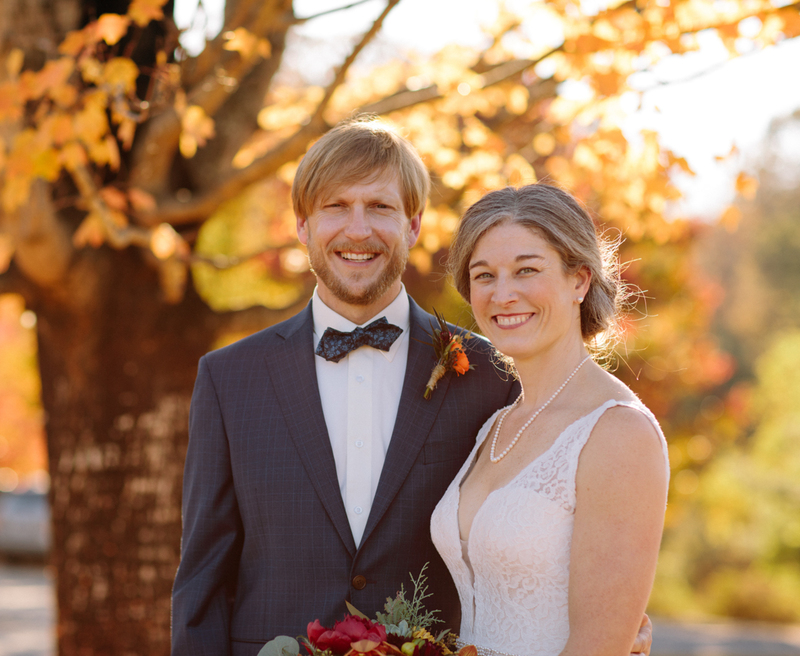 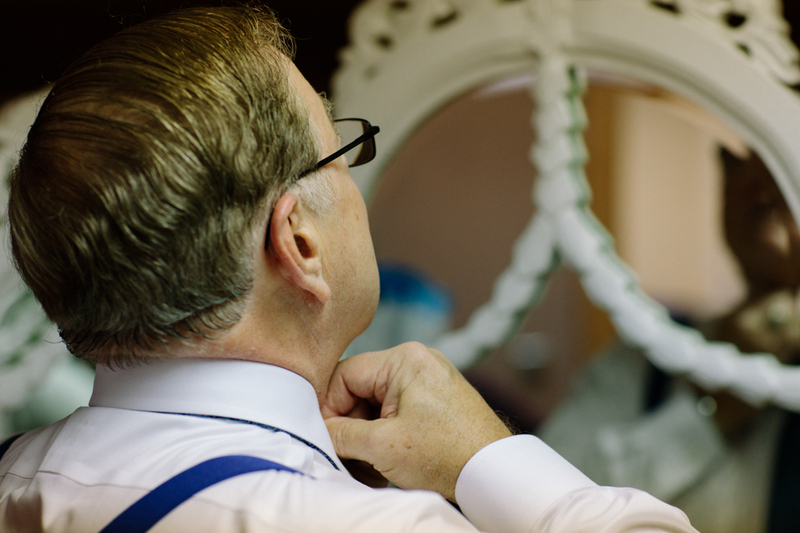 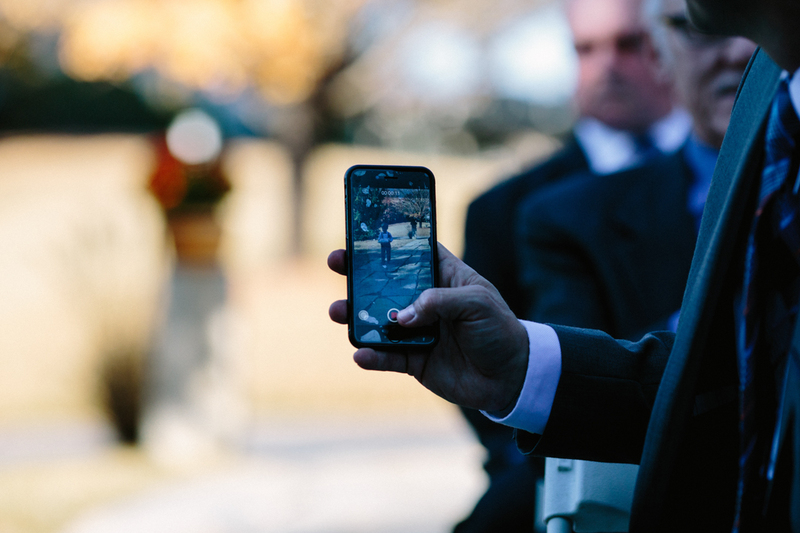 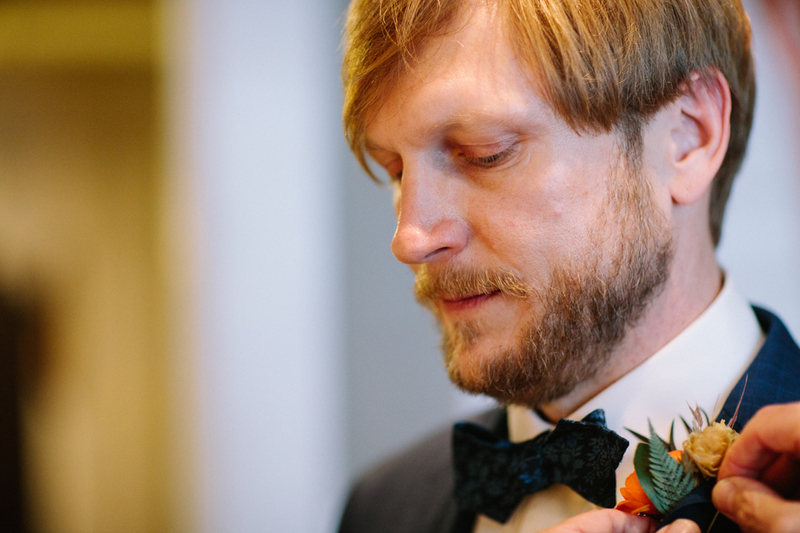 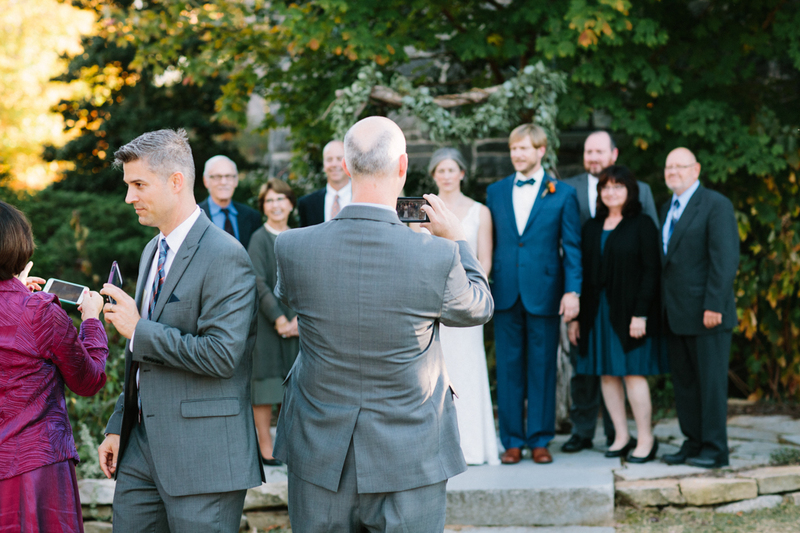 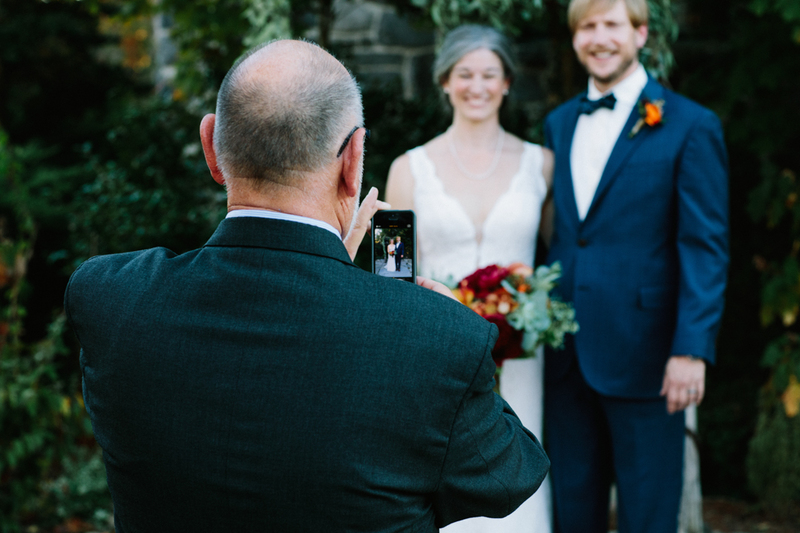 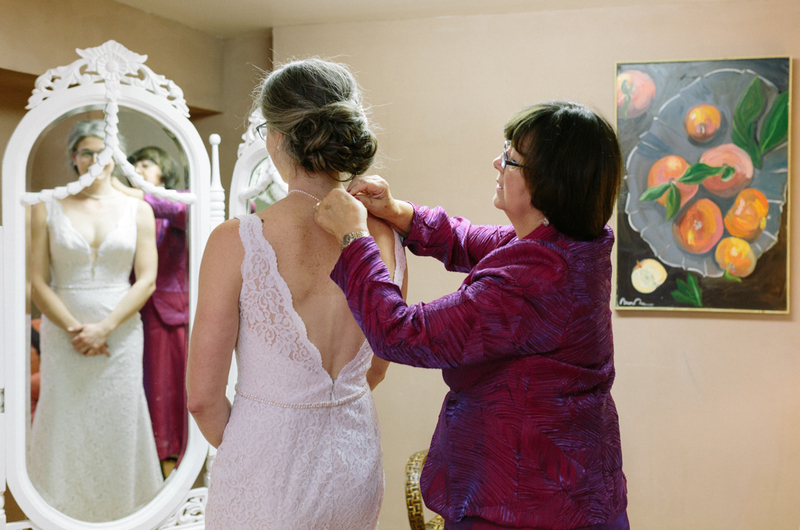 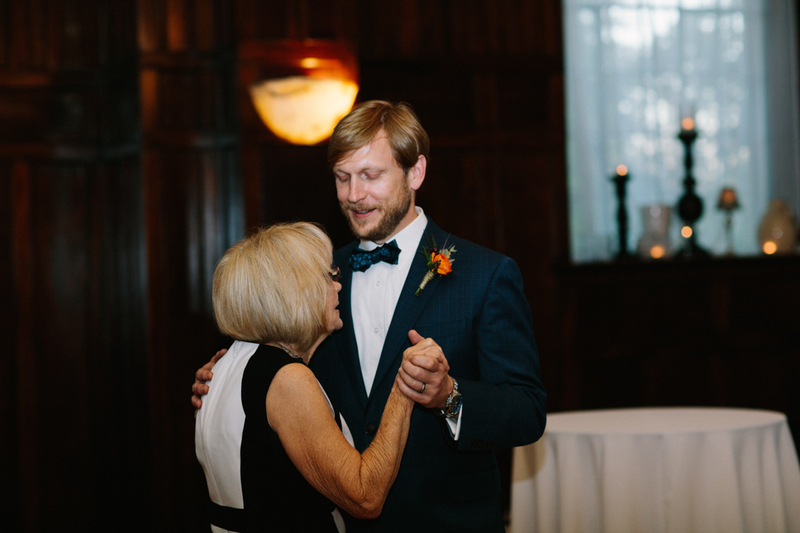 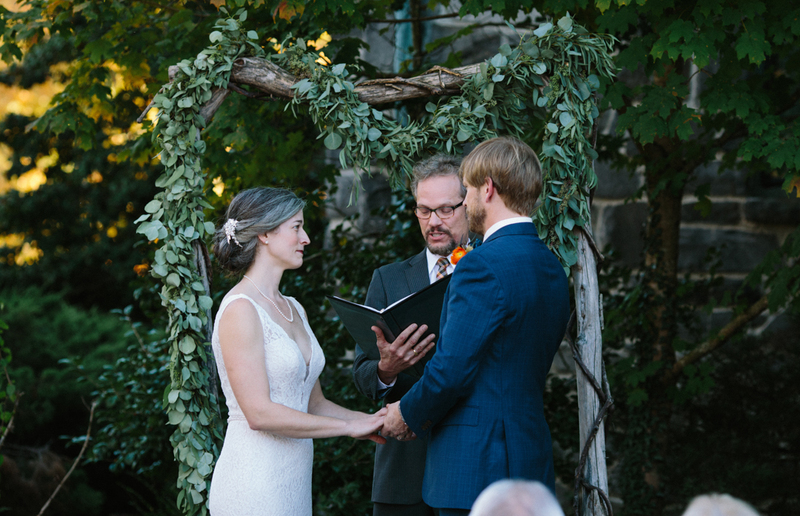 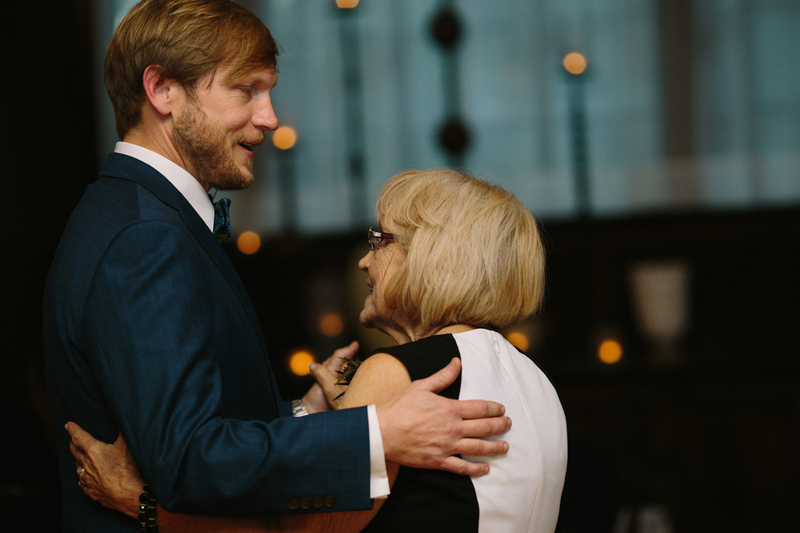 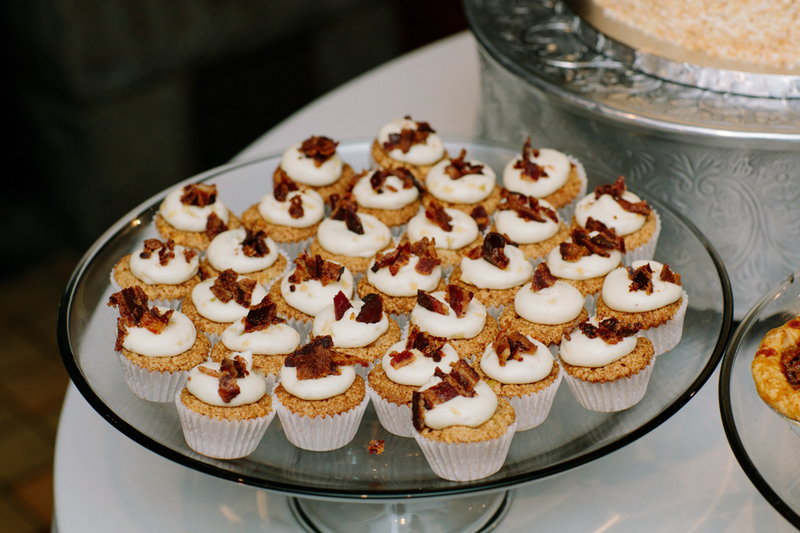 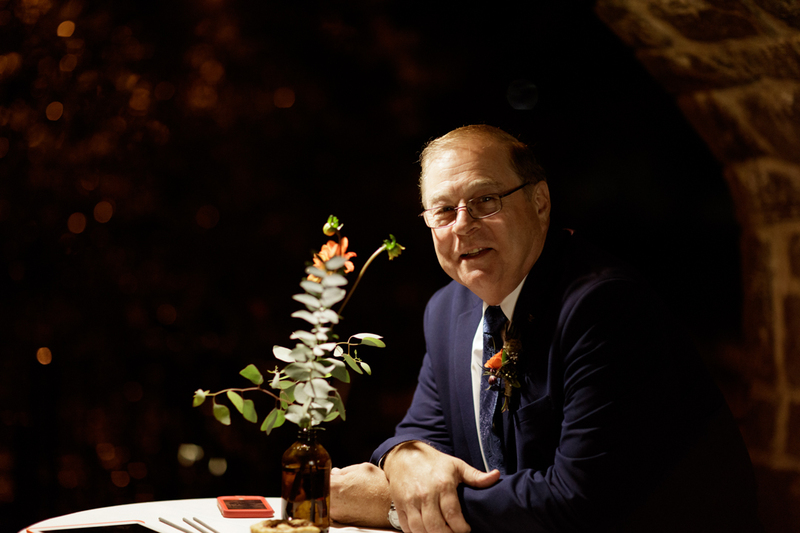 If you would like to learn more about our Asheville Wedding Photography, let talk!